Inner Planets in Libra, except Sun. Influence of the inner planets & luminaries in Libra. 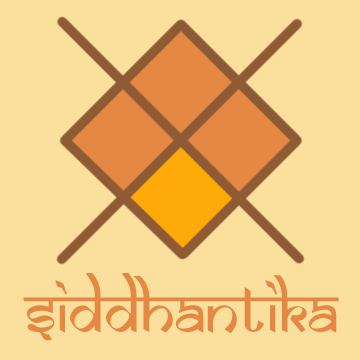 Moon in Libra people have a strong need for partnership. Without someone to share their lives with, they feel utterly incomplete. This is why many people with this position get involved in marriages or living-together arrangements quite young. Because this drive for harmony, peace, and sharing is so powerful, Lunar Librans are apt to do a lot of conceding. They are sympathetic and concerned for others, enjoy socializing, and revel in a good debate. Mental rapport with others is especially important to them. Lunar Librans feel safe and secure when they are in a partnership. These are the people who seem to always need to have someone tag along with them wherever they go — even if it is to the corner store. They find strength and reinforcement in and through others. Both men and women with this position are often quite charming. They can be very attractive to be around, and are often given to flirtatiousness. Rarely directly aggressive, these people win your heart with their gentle and refined ways. Moon in Libra natives simply can’t help but see flaws in their environment and their relationships. In fact, anything out of whack will bother them until it’s fixed. Although diplomatic with acquaintances, when Moon in Libra natives argue with their long-standing partners, they rarely let up until they win. And, winning an argument is a Libran specialty–in fact, they may not even believe what they are saying, but will adopt all kinds of ideas just to get the last word. Living with Lunar Librans can sometimes feel like you are on trial, and Libra is the expert lawyer. Sometimes, though, Libra is defending you and supporting your point of view. 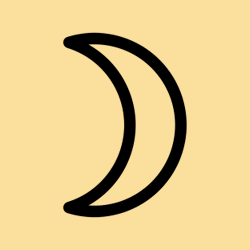 Lunar Librans’ idealistic outlook and constant striving for the best, most harmonious lifestyle can lead to much discontent. Looking for that one (elusive) perfect way to lead their lives can detract from enjoyment of the moment. Libra communicators come across as very pleasing. Diplomacy comes naturally to these natives. At the very least, they take many pains to be diplomatic. Whether they succeed or not depends on their audience–but more on that later. 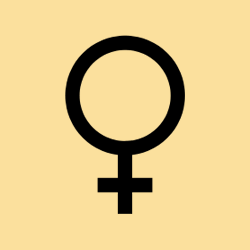 Mercury in Libra people long for equality in the intellectual world. They view mental affinity as one of the most important themes in any relationship they have. If they are not getting it (and many do not), they should look within themselves for answers. Perhaps they are trying too hard to score intellectual points with their partners instead of truly listening to what they are saying. Mercury in Libra attempts always to be fair in any discussion, but to more personal communicators, Libra’s constant comparisons can, in effect, seem unfair! Libra can go off on so many tangents, and offer excessive disclaimers for any opinion presented, that they end up all over the place. If you think Virgo is critical and a perfectionist, spend some time with a Mercury in Libra person (and many of them have Virgo Suns too). They can’t quite help themselves. But because they always aim to be kind and fair, they employ tact to get their message across. Mercury in Libra comes across in an unassuming manner, and handles people with care. When they find fault with others, they express it gently, consciously tending to others’ comfort levels. One accountant I know whose Mercury is in Libra feels she instinctively hones in on imbalances in her work. When her co-worker was struggling with “balancing the books”, this lady immediately saw her co-worker’s oversight. Instead of simply pointing it out and risking embarrassing him, she pointed to the general area of the mistake and said, “perhaps the problem is somewhere here?” This way, she stayed out of trouble, and no one had to feel uncomfortable. Mercury in Libra looks for compromise. Middle ground is constantly sought. In fact, they are extraordinarily uncomfortable with extremes of opinion! This makes them excellent counselors and go-betweens, but it also gives rise to plenty of indecision in their personal lives. In their desire to find the best, fairest, most just choice, they can swing from a pro to a con, and back to a pro again–but we can’t forget another “con” just to balance the last “pro”. It can be dizzying for others to observe! They simply can’t help but see the other side. This maddening characteristic leads to a strange paradox — they can end up seemingly in capable of giving a compliment without a “but”. After all, complimenting you is essentially drawing a conclusion, or forming an opinion. This is a paradox because Libra is charming, but give them a little time with something, and they will have a hard time arriving at a totally good (or totally bad) conclusion. Their ability to think in the abstract gives them a good measure of objectivity. These people have a subtle intelligence. Their thoughts are generally dominated by relative thinking–they simply can’t seem to evaluate their environment without comparing one thing with an other. This trait contributes to refined tastes. Mercury in Libra is generally good at making connections with others, but remember that Libra can be a lazy sign–and for Mercury in Libra natives, this means mental laziness. This can prevent them from following up and maintaining the connections they’ve made. Mercury in Libra hates to be thought of as the bad guy (or gal), and can end up trying to make too many people happy. Mercury in Libra often has to turn to others for opinions when making a decision. The maddening part of it is this: Give these people an answer to their question, and they’ll probably take the other side. For example, if they are deciding between two different restaurants, and you give them an answer, they are almost sure to suddenly see the other restaurant’s merits. These natives play devil’s advocate far too often. Many times they don’t even truly believe the side they have taken–they are simply engaging in an intellectual argument. Mercury in Libra would be wise to look inside themselves to do a check on what they really feel every now and again. They can get so caught up in trying to win an argument and correcting the (perceived) biases in others’ beliefs and actions that they totally lose sight of what really matters to them. Venus in Libra people will try to impress you with their kindness, evenhandedness, and willingness to make your relationship work. They have a polished manner in love, which sometimes makes them appear insincere or superficial. They are gentle lovers who hate to be offended. They are threatened by bad manners and direct or abrasive expression of feelings. They not only prefer to choose the middle road, they seek the middle ground in their relationships. You can expect to be treated fairly, and you may be turned on by Venus in Libra’s willingness to concede and adjust their lives to fully accommodate you. 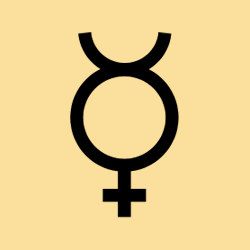 Venus in Libra men and women have idealized images of their relationships, even to the point where the relationship becomes bigger than life, taking on a life of its own. They can become quietly resentful if they feel they are being taken advantage of — and they make it easy for more aggressive types to bully them around. Pleasing Venus in Libra involves treating them kindly and fairly. They love to share everything with you, so let them. Foreplay for them can be mental — they love to communicate with you about the relationship. Sharing turns them on, and tactless or uncouth behavior is a turn-off. Although they seem to put up with a lot, be fair with them. Over time, imbalance in their relationship is sure to make them unhappy, and when it comes to this, they may try to even the score in subtle, roundabout ways. Don’t let it come to that, and you will be rewarded with a lover who puts themselves in your shoes and treats you exactly how they would like to be treated. Mars in Libra natives often reflect about things before they act. Decisiveness is not their strong point, but they do, eventually, get things done. Many people with this position procrastinate, generally because they feel the need to weigh all of the alternatives before taking action. Life isn’t always fair, but Mars in Libra will seldom accept this notion. These natives can easily get caught up in defending themselves and others. Although their overall goal is to live peacefully, they stir others up with their desire to balance everything. Still, they always play innocent when they are challenged, and can generally charm the birds out of the trees to win your favor. Passive-aggressiveness is practically the hallmark of this position. They don’t want to look like they are ever being mean or unfair, but aggression has to go somewhere! Too often, this results in sneaky behavior and subterfuge. On the other hand, some Mars in Libra people turn the Mars energy into action, and they fight for Libran justice and fairness in the world. 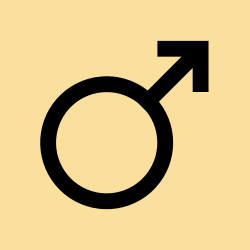 On the up side, Mars in Libra people are adept at predicting when problems and discord will occur well in advance. They know how to compromise and are excellent at conflict management.